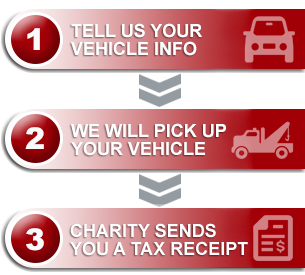 The Donate the Car program provides those in the community an opportunity to fund local programs and various research grants for Canadian charities while disposing of their old vehicles in an environmental and painless process. The Canadian Liver Foundation (CLF) is one of the charities benefiting from the generous support of the public and the partnership with the Donate a Car program. Funds received through this program have contributed to more than $20 million raised to support research on the over 100 different forms of liver diseases currently affecting one in ten Canadians. These funds have also been used to develop and operate local educational programs for school students, the public, patients and their families affected with the disease. The Canadian Liver Foundation is grateful for the funds generated by the Donate a Car program and look forward to our ongoing successful partnership. Founded in 1969 by a group of doctors and business leaders concerned about the increasing incidence of liver disease, the Canadian Liver Foundation (CLF) was the first organization in the world devoted to providing support for research and education into the causes, diagnoses, prevention and treatment of all liver disease. Through its chapters across the country, the CLF strives to promote liver health, improve public awareness and understanding of liver disease, raise funds for research and provide support to individuals affected by liver disease.